Our first photo this week is of an official looking brick building that seems to be on fire. 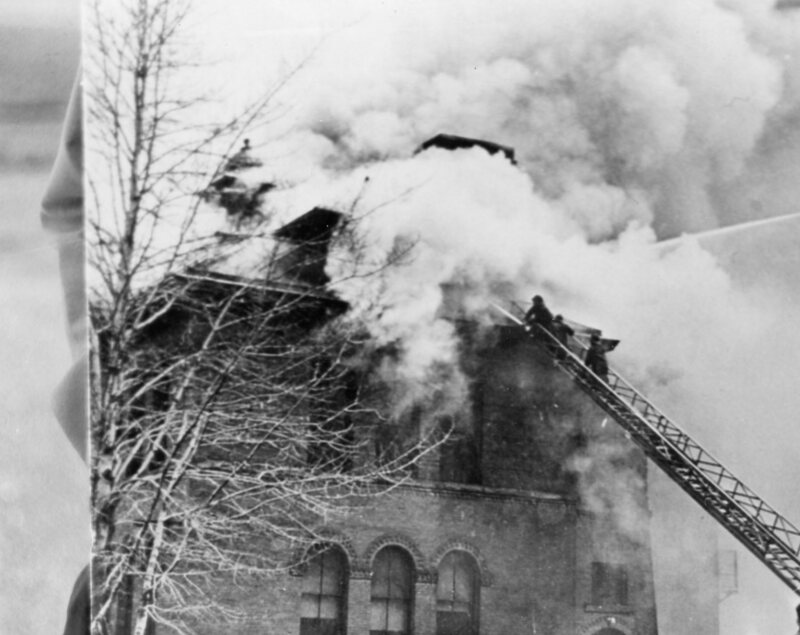 There is no indication in the records as to which building this is or when it caught fire — so if you recognize the building please let us know! 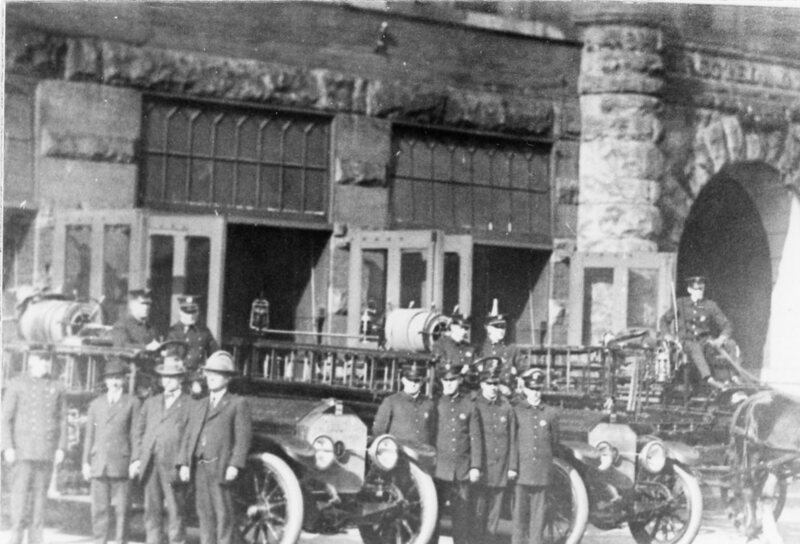 Our second photo for this week is of the building that now houses the Rockwell Museum but at one time housed the city fire department — the photo is an oldie but a goodie! Our final photo for this week is of a man in what looks like a World War I era uniform, steering horse drawn cart stacked full of lumber. 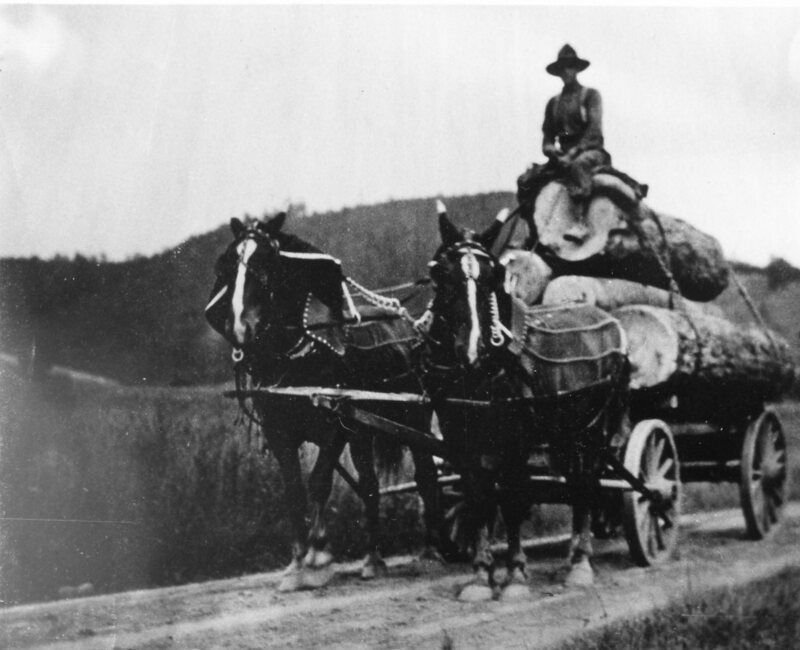 If you have any stories to share about the lumber industry that once was in full force in our region — please let us know. Any chance Photo 1 could be the School 1 fire (Northwest corner of Third and Walnut – across from CFA)?? I remember staying to watch this fire over a noon hour when in 6th grade at School 3 (1952-1953) – and getting a tardy slip for returning to class late! I love the picture of the old fire station or what is now know as The Rockwell Museum! It is so neat to see pictures of what the building used to be like! We’re glad your enjoying our local history photos!